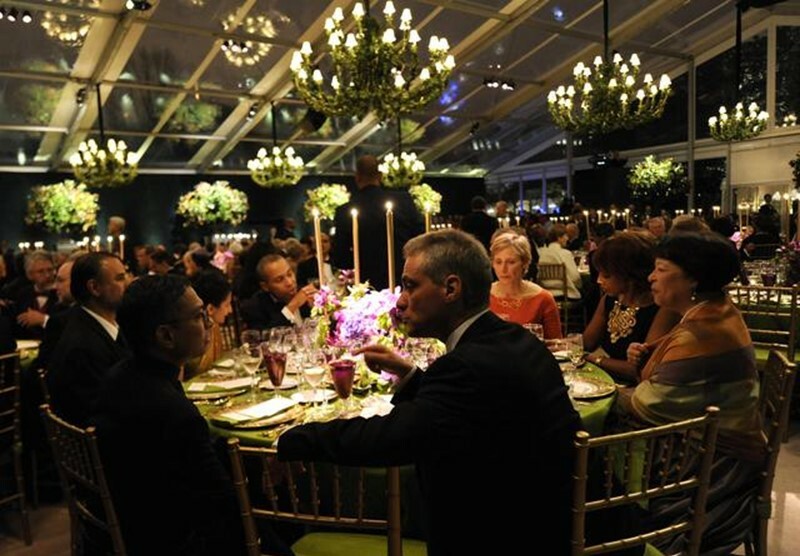 Traditionally the host and hostess of a Washington dinner event are seated apart, and guests of honour are carefully placed around the two. There is an established hierarchy of importance. The President has the highest rank and gets the best seat, next to the hosts. Then come foreign leaders, the Vice President, Governors, and on the list goes. Wives are treated as if they held the rank of their husbands. Married and dating couples are seated separately, but engaged couples sit together as it is assumed that they’re too smitten by one another to be apart. Everybody knows this protocol, and their ranking. If a guest feels that they’ve been seated at a lower position than they should have been, one should expect the grudge to last for years. Experts who know the protocol can be brought in to advise on what the seating arrangement should be. But things will likely change at the last minute. Cancellations are common, and guests will have to be rearranged so that they’re not sitting alone at their table if their dinner companions are late. Despite all the complexities, figuring out dinner seating arrangements isn’t nearly as difficult as funeral arrangements. At President Reagan’s funeral a fight broke out when a staffer was upset that their seat wasn’t in the camera shot. Read about the headaches caused by people who simply change their seat to get a better table, a mock case study which shows how guests should be seated, how the Obamas have shaken things up, and much more in a fascinating article here.